PRISM party has shot off a letter to the President of India for the removal of Governor Kummanam Rajasekharan from Mizoram on Monday. In its letter sent to President Ram Nath Kovind the party said it was deeply concerned that the nature of Rajasekharan’s appointment and his documented history were in clear contradiction to the spirit and letter of the Constitution he has sworn to uphold. “As Mizoram election is due this year, we are highly suspicious of the political nature of the appointment of Kummanam Rajasekharan as the Governor of our state. Rajasekharan was an active politician and the President of the BJP in Kerala just a week before he was sworn in as Governor. PRISM party believes that there may be a conspiracy to sabotage free and fair election in the coming election,” the party said. PRISM accused the Mizoram Governor of being an anti-secular person with a deep disregard for the rule of law and the Constitution. They alleged that he had masterminded the 1983 Nillakal Hindu-Christian dispute. “He clearly demonstrated a willingness to engage in religious antagonism rather than finding ways for a peaceful co-existence,” PRISM alleged. The party, which had recently conducted a signature campaign in their attempt to oust the newly appointment Governor claimed that they have had 53,167 signatures from across the state who had signed for the ouster of the Governor. “We believe that Kummanam Rajasekharan is patently unqualified to discharge office of the Governor of Mizoram because of his political background and his strong anti-secular views. 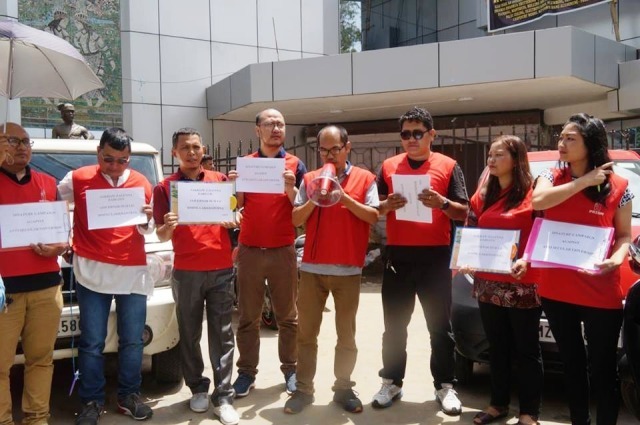 Therefore, PRISM party would hereby submit a request for his removal from the post of Governor of Mizoram as soon as possible,” the PRISM’s letter read. Kummanam Rajasekharan was sworn in on May 29 as the 18th Governor of Mizoram amidst protests by some organisations in the Christian-majority state which branded him a radical Hindu. Rajasekharan had earlier served the BJP’s Kerala unit as its chief and the Rashtriya Swayamsevak Sangh (RSS) as a pracharak. He replaced Lt Gen (retired) Nirbhay Sharma. Two organisations – Global Council of Indian Christians (GCIC) and PRISM party – feared Rajasekharan would not be able to act impartially in the gubernatorial post given his lineage to BJP-RSS.